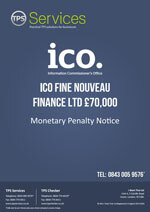 The 92 complaints prompted an investigation by the ICO which uncovered that Nouveau Finance Ltd had sent out over two million messages without consent. “This is not the first and it won’t be the last case of its kind I am sure. Across the UK companies are breaching the Privacy Electronic Communications Regulations (PECR) every day and many so in complete ignorance. I understand that many of these companies do not deliberately intend to breach PECR, but as detailed in this particular case, that’s not a good enough excuse. Nouveau Finance Ltd is registered with the Financial Conduct Authority (FCA) and contracted a marketing services company to carry out the six-month-long text campaign, but failed to check that this company had complied with PECR. Despite the supplier’s assertions that the data was opted-in, the ICO ruled that people had not given permission to receive the messages and the company didn’t identify who they were from. All of these failings broke the law. “Relying on another company to do your marketing is not a get-out clause when it comes to the law. If your business has instigated a campaign, you are responsible and it’s up to you to make sure it meets the requirements of some very strict regulations. It’s against the law for a business to send text, email or automated voice messages to people when they haven’t given specific consent to receive them. 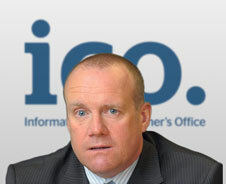 Alongside the fine, the ICO has also issued an enforcement notice ordering the company to stop sending unlawful texts in the future. If the company does not comply with the notice, it could face court action. The Government recently announced its plans to introduce personal fines for company directors heading up nuisance marketing firms. The new law should be in place by next spring. Our recent article, Directors to be personally fined for nuisance calls, gives more details.